Roxy Music are an English art rock group founded in the early 1970s by art school graduate Bryan Ferry (vocals and keyboards). The other members are Phil Manzanera (guitars), Andy Mackay (saxophone and oboe) and Paul Thompson (drums and percussion). Mercury Rev is an American rock music group, formed in the mid 1980s in Buffalo, New York. Original personnel were David Baker (vocals), Jonathan Donahue (vocals, guitars), Sean Mackowiak, a.k.a. “Grasshopper” (guitars, clarinet), Suzanne Thorpe (flute), Dave Fridmann (bass) and Jimy Chambers (drums). Lewis Allan “Lou” Reed (born March 2, 1942) is an American rock musician best known as the guitarist, vocalist and principal songwriter of The Velvet Underground as well as a successful solo artist whose career has spanned several decades. The band gained little mainstream attention during their career, but became one of the most influential of their era. Kate Bush (born Catherine Bush on 30 July 1958) is an English singer-songwriter, musician and record producer. Her eclectic musical style and idiosyncratic lyrics have made her one of England’s most successful solo female performers of the past 30 years having sold over 20,000,000 records worldwide. 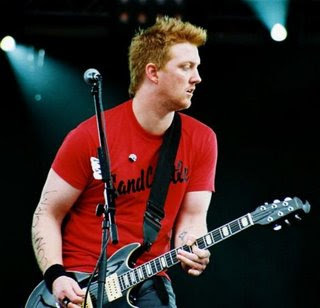 Joshua Michael Homme (born May 17, 1973 in Joshua Tree, California) is an American rock musician and record producer. 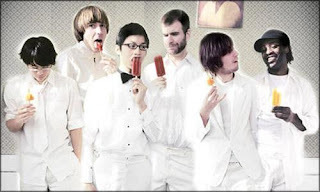 Islands is an indie rock band based in Montreal, Quebec, which currently records for Anti Records. In mid-2005 Islands recorded a debut album titled Return to the Sea, which was released in April 2006. The album was recorded in Montreal, Canada, at Breakglass Studio and in Jamie Thompson’s bedroom, and was produced by audio engineer/record producer Mark Lawson.